All said and done, the script had so much passion that I felt very emotional and I made up my mind to do it. The star of the upcoming 'Agneepath', Hrithik Roshan says right off the bat that he had never considered acting in a remake. 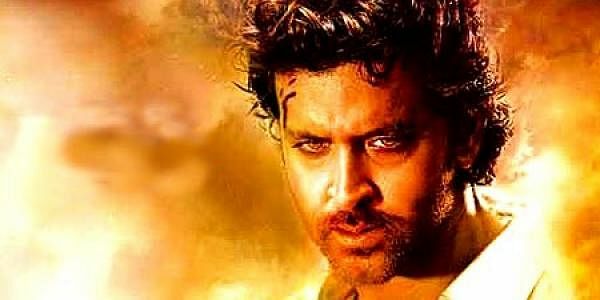 His reluctance, he reckons, was justified and he stood his ground until director Karan Malhotra and producer Karan Johar coaxed him to at least give their 'Agneepath' half a chance. “Why remake a film which is more or less perfect and in which Mr Bachchan has given such an amazing performance? I told Karan, ‘Let’s not do it. 'Agneepath' is a classic,” says Hrithik. Somehow, the two Karans “forced” him to read the script and when he did, Hrithik was convinced that he has to do 'Agneepath'. “All said and done, the script had so much passion that I felt very emotional and I made up my mind to do it,” says the actor. The original 'Agneepath', produced by Karan Johar’s father Yash in 1990, featured Amitabh Bachchan at his intense, brooding best, bringing alive Vijay Dinanath Chauhan, a boy who rises from the margins of poverty to become a notorious crime boss. Despite his new-found power and influence, Vijay’s life is built around his pledge to avenge his father’s death. How about Vijay himself, given that he has slipped into public consciousness as an iconic character? His fans, and the media, often protest that he doesn’t do too many films, a charge he accepts smilingly but not before pointing out, “It feels nice that people want to see you more but I believe I am so busy that I may not be able to act in more films than I already am.” He admits that his family, wife Suzanne and kids, Hrehaan and Hridhaan are his priority. “My family always complains that I am not there with them enough. You guys keep telling me I should do more films. How much can I do?” he laughs out. Riding high on the success of 'Zindagi Na Milegi Dobara', the actor maintains that he will continue to be selective about his films. Sanjay Leela Bhansali’s 'Guzaarish' may have failed to gather laurels but Hrithik believes it’s one of the best films of his career. “It was an honest film and I loved being a part of it,” he says. Other than the 'Krrish' sequel, which has been pushed back because of his health and fitness, Hrithik is open to doing a small film. “Why not? A good film is what I am always open to. A small film once in a while shouldn’t be harmful,” he smiles.